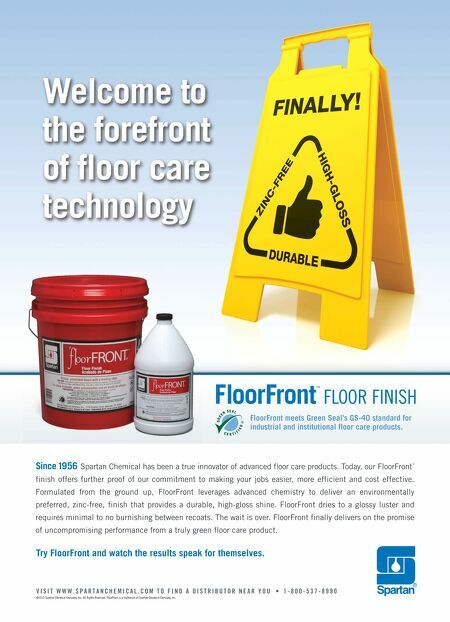 Welcome to the forefront of floor care technology FloorFront FLOOR FINISH ™ FloorFront meets Green Seal's GS-40 standard for industrial and institutional floor care products. Since 1956 Spartan Chemical has been a true innovator of advanced floor care products. Today, our FloorFront ™ finish offers further proof of our commitment to making your jobs easier, more efficient and cost effective. Formulated from the ground up, FloorFront leverages advanced chemistry to deliver an environmentally preferred, zinc-free, finish that provides a durable, high-gloss shine. 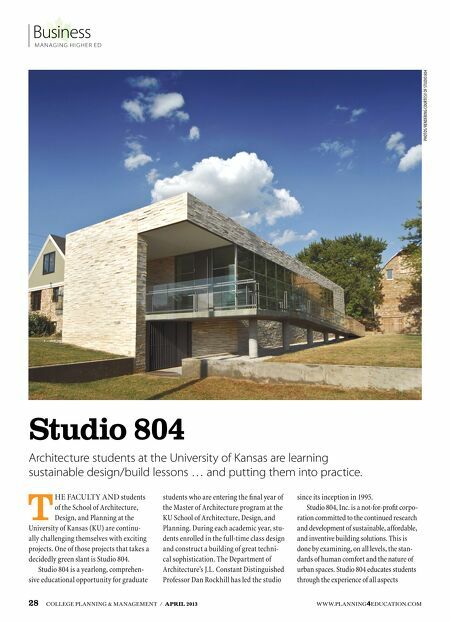 FloorFront dries to a glossy luster and requires minimal to no burnishing between recoats. The wait is over. FloorFront finally delivers on the promise of uncompromising performance from a truly green floor care product. Try FloorFront and watch the results speak for themselves. VISIT WWW.SPARTANCHEMICAL.COM TO FIND A DISTRIBUTOR NEAR YOU s 1-800-537-8990 ©2013 Spartan Chemical Company, Inc. All Rights Reserved. FloorFront is a trademark of Spartan Chemical Company, Inc.